Pfizer’s biosimilar of Roche’s blockbuster blood cancer and inflammatory diseases drug rituximab has succeeded in a late-stage trial comparing it with the original drug. The company said the REFLECTIONS comparative safety and efficacy trial has met its main goal, demonstrating equivalence in overall response rate for first-line treatment of patients with CD20-positive, low tumour burden, follicular lymphoma. Pfizer has seven biosimilars in mid to late stage development, with three of these in oncology, as well as several others in early stage development. Branded as MabThera or Rituxan, rituximab is Roche’s biggest selling drug with sales of around $7.3 billion in 2016. It is one of the company’s “big three” biologic drugs – and the other two, Herceptin and Avastin, are also facing cheaper competition from biosimilars. 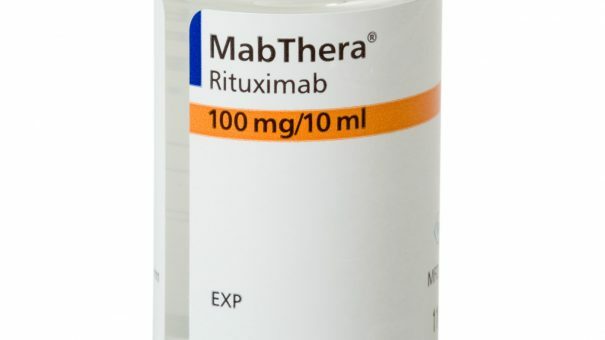 But rituximab has been off-patent for several years in the US and Europe – but it was only last year that the first biosimilar rituximab was approved in Europe. It accounts for a significant chunk of a of a 2 billion euro saving opportunity from biosimilars in European healthcare over the coming years, according to an analysis by IQVIA. South Korea’s Celltrion was the first company to get a biosimilar of rituximab through the rigorous regulatory process for biosimilars, and was approved in Europe last February. Celltrion and partner Teva filed their rituxiumab biosimilar with the FDA last July, setting up a potential launch later this year if all goes well. For now, Pfizer is keeping quiet about its plans to file its rituximab biosimilar, but it is likely to face competition from other companies too. Sandoz got its rituximab biosimilar approved in Europe last year, and filed it with the FDA in September. Another big player that is close to bringing rituximab biosimilars to market is Amgen, which has ABP 798 in late-stage development. Roche has an answer to the cut-price rivals: a subcutaneous version of the drug, which has been approved in Europe for some of its indications since 2014, and in the US since last year. This reduces administration time from 90 minutes of infusion time to a simple injection, an advantage which has helped the company retain revenues from the drug.